Although most of us confidently assure ourselves and others that we do not believe in the paranormal, in reality a lot of us do have a lingering fascination with the 'Other Side': the ephemeral nether-world that is reputed to be inhabited by ghosts, ghouls and all sorts of other spooky beings. The mere mention of a seance will immediately pique the interest of all but the most die-hard sceptic, and we all love a good ghost story. Therefore, it's no wonder that over the last decade or so ghost tours of various historic precincts, both in Australia and abroad, have become big business. It's almost as though, within us all, there lingers a perverse desire to terrified. 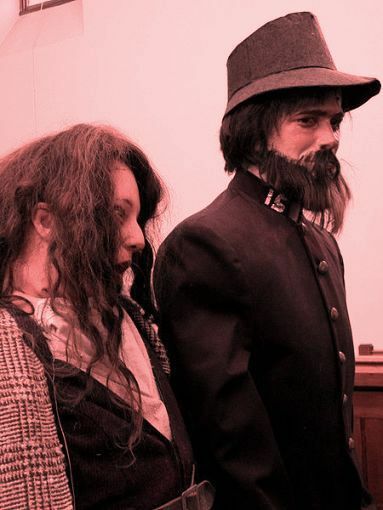 These days ghost tours can be found in most major cities in Australia, as well as in smaller regional centres, especially those with an old and violent convict past. The following paragraphs contain details about some of the most scary ghost tours in New South Wales. Check them out, if you dare. The site of Australia's first penal settlement, Sydney's early days were marked by harsh discipline and extreme deprivation. Many places connected with the city's convict past are still in existence, and much to the delight of paranormal enthusiasts, several ghost tours are held at various locations. One of the oldest neighbourhoods in Sydney, The Rocks, is just a short walk from the site of Australia's first European settlement. Its old colonial buildings have many a tale to tell and therefore its hardly surprising that it's a favourite haunt for paranormal tourists. Some of Sydney's most popular most popular ghost tours are operated by The Rocks Ghost Tours, a company that has tailor-made their tours to suit a wide range of age-groups and purposes. As well as standard tours for adults, they also host family groups that presumably tone down some of the more gory details and special tours for teenagers, in which the scary stuff is most probably amped up. There are also birthday tours for a night out you'll never forget, Halloween tours, hens' night tours for a girls' night out with a difference, school excursion tours and even team-building events for corporate groups. Exclusive group tours are also available. To find out more, take a look at The Rocks Ghost Tours website. Sydney Ghost Tours also offers a similar range of events, but mainly around the North Shore area. On their tours they visit a variety of seriously scary places such as a cursed Aboriginal site, a haunted cottage that once served as a morgue, a haunted mansion and a spooky old cemetery. There are tales of love, lust, madness, cannibalism and murder from the area's Georgian and Victorian past that will get your heart pumping and your teeth chattering. All locations have been verified by mediums as being extremely paranormally active. As well as adult only and family friendly tours, Sydney Ghost Tours does a Ghoul's Night Out, Halloween Tours, Full Moon Tours, Friday 13th Tours and Custom Group Tours. For a full range of what are available, check out their website. Constructed in 1828 to isolate the fledgling settlement from new arrivals with contagious diseases, the old Quarantine Station at North Head, Manly, is frequently described as the most haunted place in Australia. Therefore it's not surprising that one of Australia's most popular, albeit chilling, ghost tours takes place here. These days the old Q Station is managed by the NSW National Parks and Wildlife Service which conducts regular three hour tours after dark, through the unlit streets and buildings, taking in historically (and paranormally) significant sites as cemeteries, hospital wards and the morgue. Several ghostly options are available such as Ghost Trackers tours (for families), adult tours, extreme tours, ghostly sleepovers, ghostly dine packages and even paranormal investigation nights. If you're after a custom tour, these are available as well. To learn more about all these, check out the Quarantine Station website. 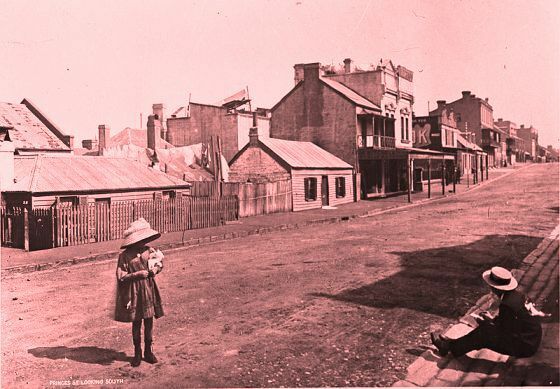 Another very early colonial settlement with many convict connections, Parramatta is also a ripe spot for paranormal investigation. Old Government House, a 212 year old Georgian mansion where many of the colony's earliest Governors resided with their households until 1855, is considered to be particularly haunted. Now protected by the National Trust and Friends of Old Government House, a candlelit Ghost Tour is held around the property on the third Friday of each month and on Halloween. Alternatively, private Ghost Night tours are also available for groups of twenty or more. These events are followed by a light supper at which participants can reflect on their own ghostly encounters.To find out more take a look at this website or call 02 9635 8149 during business hours. There are also a couple of other haunted history tours in Parramatta that you may want to look into: Past Time Tours (call Judith Dunn on 02 9686 6861 or email pasttimestours@optusnet.com.au) or Topp Tours (contact Kerima-Gae Topp on 02 9633 9562 or 0428 284 75). With its harsh penal history and many empty old buildings, it was only a matter of time until someone started conducting ghost-tours in Newcastle. For some reason, unlike many beach-side precincts around Australia, down-town Newcastle has until fairly recently escaped the developers' hammers and its many majestic albeit crumbling old buildings are a treasure-trove for seekers of the paranormal. Established in 2010, Newcastle Ghost Tours' main focus is Newcastle's historic east-end which is rich in convict history and is where many of its most historic structures stand, including the old Newcastle Hospital site, the Asylum and Christ Church Cemetery. Newcastle Ghost Tours operates several tours. As well as its East End Dark History and Ghost Walk, the company also conducts historical day tours to Fort Scratchley Historic site and along Watt Street, pausing to have a Devonshire Tea at haunted Monet's Restaurant and to pay a visit at the United Servicemen's Club, also reputed to have paranormal activity. 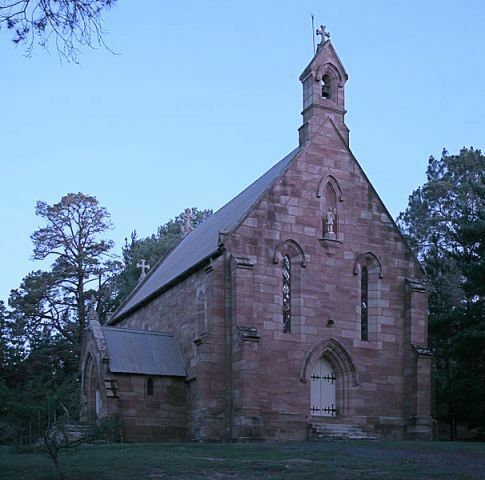 In addition, they also hold regular special events including paranormal investigation nights at the National Trust listed Miss Porter's House, discussion nights at various historic locations around the Hunter and special ghostly tours in at reputedly haunted locations such as Wollombi. To find out more about what's on offer, including prices, go to the Newcastle Ghost Tours website. Situated just thirty-three kilometres from Newcastle on the Hunter River, Maitland was one of the earliest colonial settlements in New South Wales. Construction began on convict-built Maitland Gaol in 1844, making it one of the oldest buildings still existing in the area. 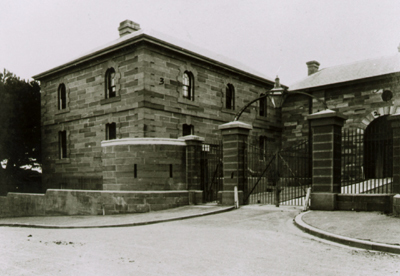 With a gruesome history of hard labour, torture, whippings, hangings and public executions, it was a harsh violent place that housed some of New South Wales' most desperate prisoners. 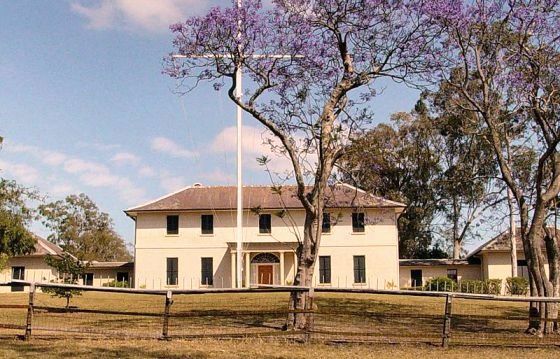 Understandably, given its history, many psychics and clairvoyants consider Maitland Gaol to be one of the most haunted locations in Australia. Since its closure in 1998, the gaol has morphed into one of the Hunter Valley's most popular tourist attractions, and amongst its range of tours and special events there are a couple which are of interest to potential ghost-hunters. Extremely popular, the psychic tours (also known as Torchlight Tours) are conducted by a local psychic and focus on the many intriguing and hair-raising tales connected with the gaol. The tour takes two-and-a-half hours and is not available for children under fourteen as it's conducted at night and the information presented is truly horrendous. As well as the regular public tours, it's also possible to organise a Torchlight Tour for private groups: a perfect birthday event for older teens, a hens' night or team building exercise, perhaps? Maitland Gaol also provides sleepover experiences from Monday to Friday for groups of 25 or more. The evening begins at 9.30pm with a torchlight tour, after which visiting 'inmates' are 'locked down' in a cell for the night. The experience ends at 8.00 the following morning. This unique sleepover experience involves special conditions, and participants under 18 years must be accompanied by a responsible adult. Ghostly activity isn't guaranteed, but I'm certain that many visitors to this gloomy and foreboding place experience some kind of otherworldly presence. To learn all about one of Australia's most notorious prisons and the events it holds, take a peek at the Maitland Gaol website. Hunter Valley Ghost Tours also conducts tours around the historic old streets and buildings of Maitland, as well as the gaol. However, other parts of the Hunter Valley are also reputed to extremely haunted and the company introduces the inquisitive to the region's dark side with tours and paranormal investigations to smaller towns including Morpeth and Raymond Terrace. As well as their regular tours, they also conduct custom tours for birthdays, team building exercises and other special events. For those who want to learn more about exploring the other side, Hunter Valley Ghost Tours also offers a one day workshop called Introduction to Paranormal Investigation and Ghost Hunting. To learn more, go to the Hunter Valley Ghost Tours website. With its golden sandy beaches and predominantly sunny weather, Port Macquarie appears to be the perfect family holiday destination. However, below it's beautiful breezy surface lurks a darker side, with tales of murder and mayhem dating back to its early days as a penal settlement. Take a walk on the other side as guide Bruce Thompson leads you through the city's streets, historic burial grounds, convict-built residences and other notoriously haunted locales in the dead of night. During the school holidays a one-hour Spooky Kids Tour is also available at the Glasshouse Arts, Entertainment and Conference Centre. Check out the Port by Night website to find out more about these programs or call Bruce on 0412 217 060. Gledswood Homestead near Campbelltown is a historical house dating back to the very early colonial days. Although it's a popular winery and function venue these days, with a history dating back almost two hundred years, there are some aspects of the homestead that most visitors aren't aware of. Depending on numbers (a minimum of five people is required), ghost tours are run at Gledswood Homestead on Friday and Saturday nights. Led by a highly skilled psychic medium, the tour examines the homestead's history and will introduce guests to the various ghosts who still linger around its historic corridors and outbuildings. Bookings are essential. To find out more and secure your place on one of the tours, check out the Gledswood Homestead website or call them on 02 9606 5111. Situated just a couple of hours south of Sydney, Goulburn and its surrounds were also sites of early settlement during the convict era. Goulburn Ghost Tours offers an awesome range of informative, fun and frequently frightening ghost tours that take in some of the region's most spooky sites. Conducted by a team of experienced psychics and paranormal investigators, tours explore haunted buildings, ghost-towns from the goldrush era and other miscellaneous places of paranormal significance. These include the popular Ghoul-burn Tour, Joadja Ghost Town Tour, the Brewery Dinner Screamer Tour and the Braidwood Bone-rattler. 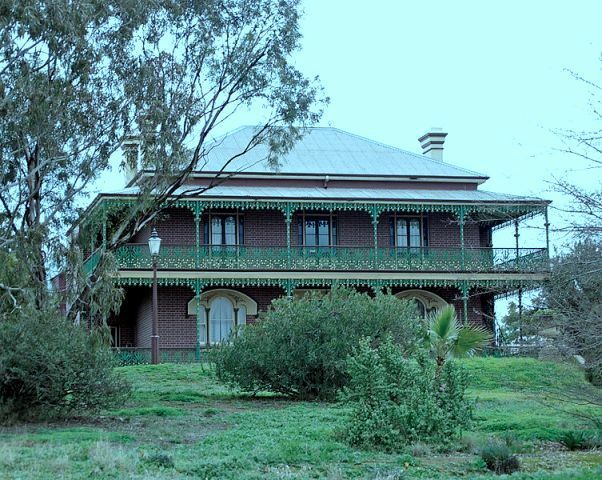 Other events include overnight paranormal investigations, some at the aforementioned sites and others at other reputedly haunted locations such as Liverpool TAFE. Goulburn also conducts custom tours for all sorts of events (such as birthdays, office parties and team-building exercises), as well as private paranormal investigations if you think your house might be haunted. These packages include food, paranormal techniques and equipment training. To find out more, check out the Goulburn Ghost Tours or phone 1416 405 094. Also in the Southern Highlands, historic Berrima is considered to be the best-preserved example of a Georgian village on the Australian mainland. With wild colonial tales spanning almost two centuries, the town is considered to be a paranormal hotspot and hides several dark secrets below its picturesque facade. Ghost Tours of Berrima regularly conducts the popular night time walking tour, Mrs Mulligan's Ghostly Whispers of Old Berrima, around the towns historic streets. Taking around two hours, participants are told about turbulent days when bushrangers roamed, convicts were flogged, hangings took place and stocks stood in the market place. They'll also hear of ghostly encounters, past and recent. Who knows, perhaps you'll sense a presence, too? To find out more about this tour, check out the Ghost Tours of Berrima website. 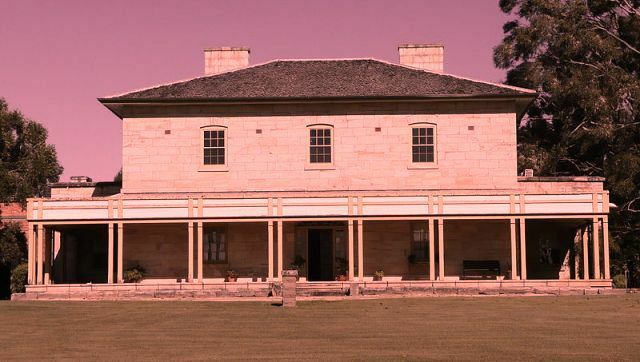 The Australian College of Mediumship in Sydney also offers interactive ghost tours of the Old Berrima Courthouse from time to time. To find out more, take a look at their website or email kerrie@psychicmedium.com.au. Gold was discovered at Hill End in the 1850s, and by the early 1870s the town had a population of around 8000. However, once the gold was mined out most residents left, and by the 1940 there were only a few hundred people remaining. These days, Hill End is a crumbling shadow of its former heyday with less than one hundred residents, and is protected by the NSW National Parks and Wildlife Service. Throughout the year the service holds regular ghost tours of the Hill End Historic Site and some of its remaining buildings, including the spooky old hospital, historic Craig Moor homestead and Byers Collage, all of which are reputed to be haunted. Beginning in the early evening, the tour requires a minimum of 10 participants and a maximum of 20. As it can get pretty eerie at night in Hill End, it's strongly recommended that children must be twelve years old or over. Bookings at the Hill End Visitors Centre are essential, and must be made by 4.00pm on the day of the tour. In addition, a deposit may be required. For more information, call 02 6337 8206 or take a look at this website. For enthusiastic seekers of the paranormal, the spectacular Blue Mountain region is another locale rich with early colonial history. Based in Springwood, Blue Mountains Ghost Tours takes in some of the mountains' scariest sites as guide Paranormal Pete regales participants with spine-chilling sagas of murder, mishap, hangings, haunted houses and much more. Tours generally take place on Friday or Saturday nights and last for four to five hours. To find out more, go to the Blue Mountains Mystery Tours website or phone 02 4751 2622. Once in a while the National Trust also conducts a ghost tour of Woodford Academy, a historic building dating back to the 1830s that's reputed to the oldest building still existing in the Blue Mountains. It's also one of the most haunted, with many psychics verifying extreme paranormal activity in its vicinity. On the evening tours, lasting one hour, visitors will hear from their guide about those who once dwelled there, and perhaps still do. This tour isn't held regularly, so be sure to contact the National Trust for more details. Go to the National Trust website or call 02 4758 8743. 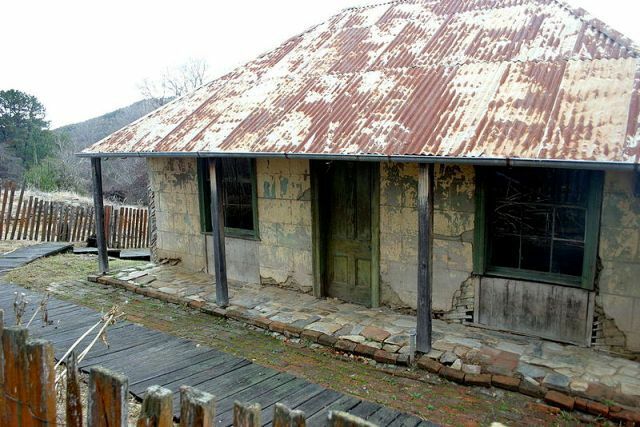 Located outside Junee in the Riverina region of New South Wales, Monte Cristo Homestead has the dubious reputation of being one of the most haunted houses in Australia. Constructed in the late 1800s, the homestead's resident ghosts include a murdered caretaker, a maid who fell off one of the balconies, a stable boy who was burnt to death and a child who fell down the staircase. The ghost of homestead's original matriarch Mrs Crawley is also reputed to exert her presence in various chilling ways. Apparently, after her husband's death in 1910, she only left the house twice in the remaining twenty-three years of her life. To learn more about the history of Monte Cristo Homestead, its ghosts and its ghost tours, take a peek at its website. Why? To take a ride to the other side.